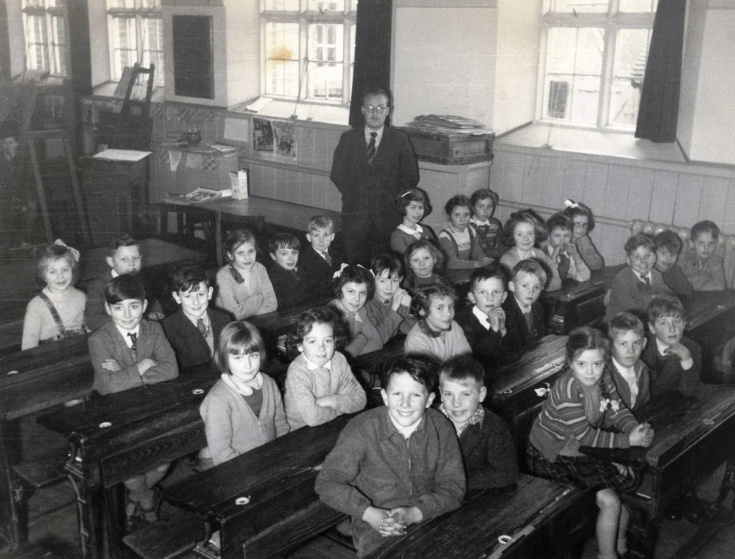 Here is a photograph of a class at Handcross School with one of the teachers, Mr Over, standing at the back. The Large Version shows the pupils numbered. With not a lot of confidence, here are some of the pupils whom I may have named correctly. 2 Donald Wheeler, 3 Chris Johnson (Nashlands), 12 Janet James, 13 Doreen Kemp, 16 Yvonne Newman, 19 Gill Leppard, 20 Lionel Copeland, 23 Norman Haynes, 28 Bernard Miles. Please can anyone identify any of the others, or correct those named above?